Delivered on time and as described. So far so good. Item works great and was delivered on time. put it together. Works Great. Arrived with a dent or two, but who cares. Chipper Shredder was delivered intact next day! Box was beat up, chipper ok. Excellent all around service 😊 A+++ Thank you. 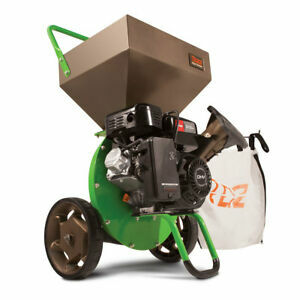 The Tazz K32 Chipper Shredder is a solid well-built machine at a great price. It started up on the first pull and did a good job of chipping my pile of pruned wet and dry tree branches and brush. The 212cc Viper engine did not lack in power and made quick work of the pile. 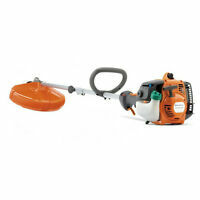 Even at 120 pounds, the chipper is easy to maneuver around (probably due to the large wheels). The U-shaped stand makes it stable and it is at a good working height (hopper is 34 inches high). The overall height with handle is less than 42 inches high. I note this only because all of the published dimensions by Earthquake/Ardisam list the height as 51.9 inches--clearly a clerical error. Some comments about assembly: The fabricated parts are good quality and a good fit with the supplied fasteners. i suggest that you stuff an old towel into the shredder infeed during assembly to avoid dropping nuts or bolts in there. Don't forget to take it out! The mounting flange of the hopper was bent slightly. It appeared to have been packaged that way. I've read other reviews about this, so it must be common. Many of these other reviewers had an issue with the damper binding as a result. I used a carpenter square and a pair of slipjoint pliers to very carefully check and straighten the flange. This seemed to work and the damper worked fine for me after assembly. Don't forget to add the oil! The machine worked better than I expected! The mulch was ground fine which is great for compose which is the reason for the purchase. The only fault is the bags straps were not sewn well and the end one tore loose from the bag. Very easy to assemble and start. Does a good job of chipping and mulching material.